We have finished the online petition campaign today and would like to thank you very much for signing the letter to the Foreign Affairs Committee of the U.S. House of Representatives and for joining us in urging the U.S. Congress to Stop Acts H.R. 1226 and S. 447. We have dedicated our work to the fight against the flawed bills and to the fight for the truth and justice for millions of victims of Nazi Germany’s genocide on ethnic Poles. Now, we keep up the momentum and invest a lot of time and energy in the further development of our educational and lobbying project. 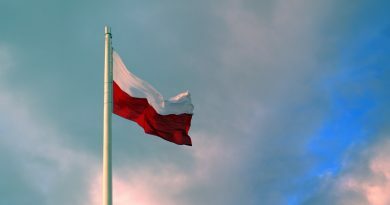 We have just extended the Polish section of our website. We endeavour to establish a solid grass-roots movement of American Poles across the USA and hope very much to create a powerfull pro-Polish group of people who will engage in future projects. We appeal especially to Polish Americans to support our campaign to stop the anti-Polish legislation S. 447 and H.R. 1226 in their states and all over the US. We urge you to create your local groups. We kindly request all the Poles who signed the petition to help spread the word. Please tell your friends and family about Stop Act HR 1226 project. Please post a link www.stopacthr1226.org on your Facebook or Twitter page and please keep your fingers crossed for the success of our initiative.